The summer is almost over and I'm not ready! Are you? My little E starts kindergarten this year and I feel like we've wasted her last summer as a school-free kid. We've done a few fun things, but nothing like I had planned at the beginning of summer. Well, it's not too late. I've made a list of 50 Things to Do Before School Starts and compiled it into a Google document to share with you! Some of the items near the top of the list are activities specific to my area, but the rest of the list is pretty generic. To make these last few days of summer memorable, I decided to create a countdown calendar for my littles. 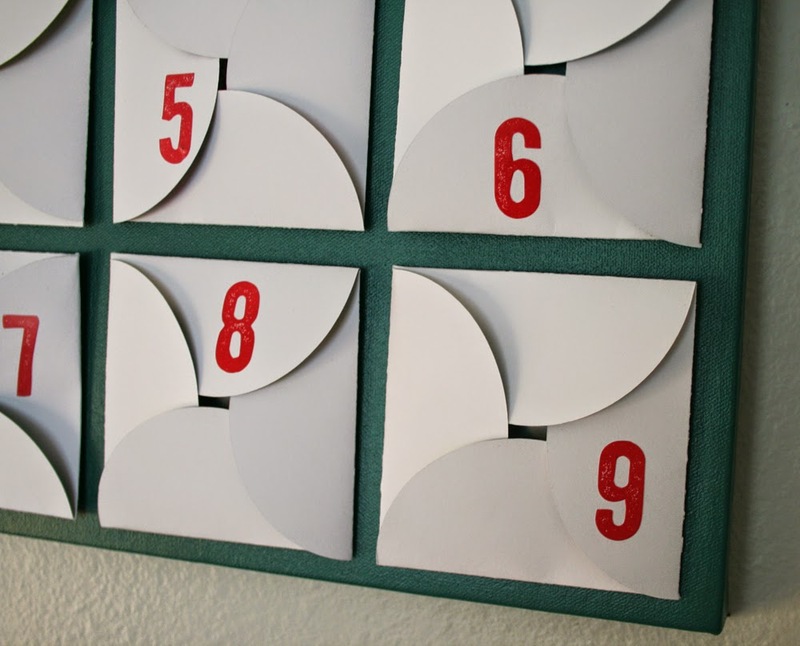 A back-to-school advent calendar, if you will. I had so much fun making one, that I ended up designing FIVE to share with How-To Gal readers and on KSL Studio 5, a local TV program. I'll share three today and two the beginning of next week so you don't get overloaded all at once. 1. Easy for anyone to create. 2. Cost under $5 to make. For this calendar, I cut nine envelopes with my Cricut Explore and added sticker numbers to the front. Then, I spray painted a 12" x 12" canvas I had stashed away and glued the envelopes right onto the canvas. Each day as we open up the envelopes, I'll have a fun activity written on the inside from my list of 50 Things to Do before the end of summer. You can't get any easier than this. 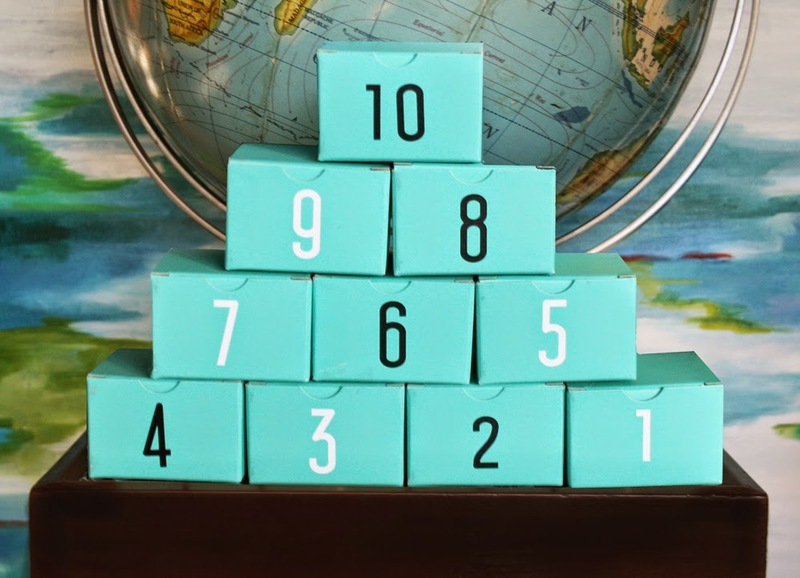 I purchased all of my turquoise boxes from The Paper Store and stuck black and white numbers on the front. Super easy! 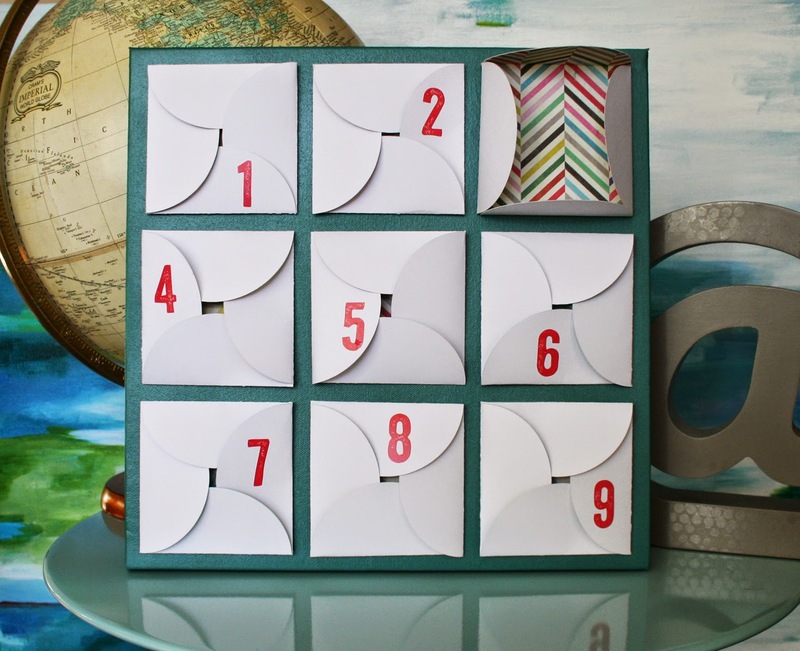 Each box could be filled with goodies for your count down. 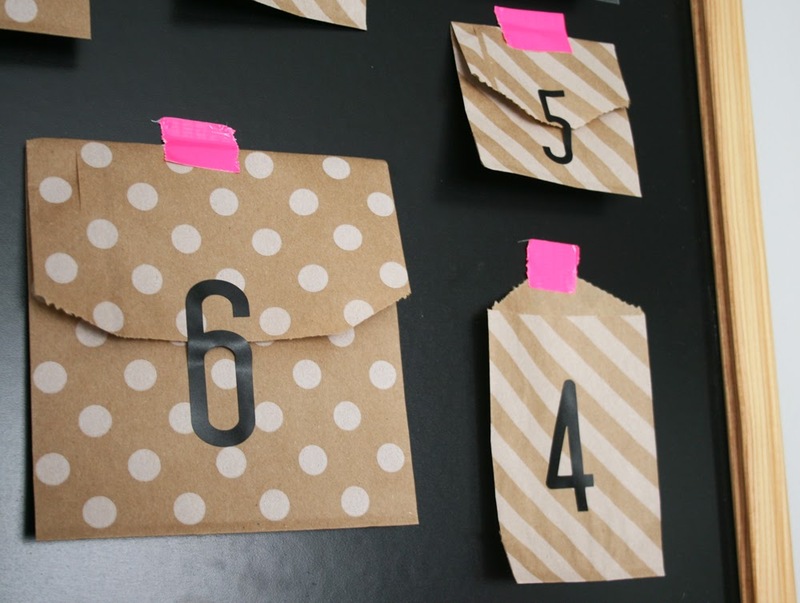 Fill them with clues for the day ahead or a simple slip of paper with an activity. It will be like unwrapping a present everyday! Aren't those brown paper bags adorable? They were another find from The Paper Store. 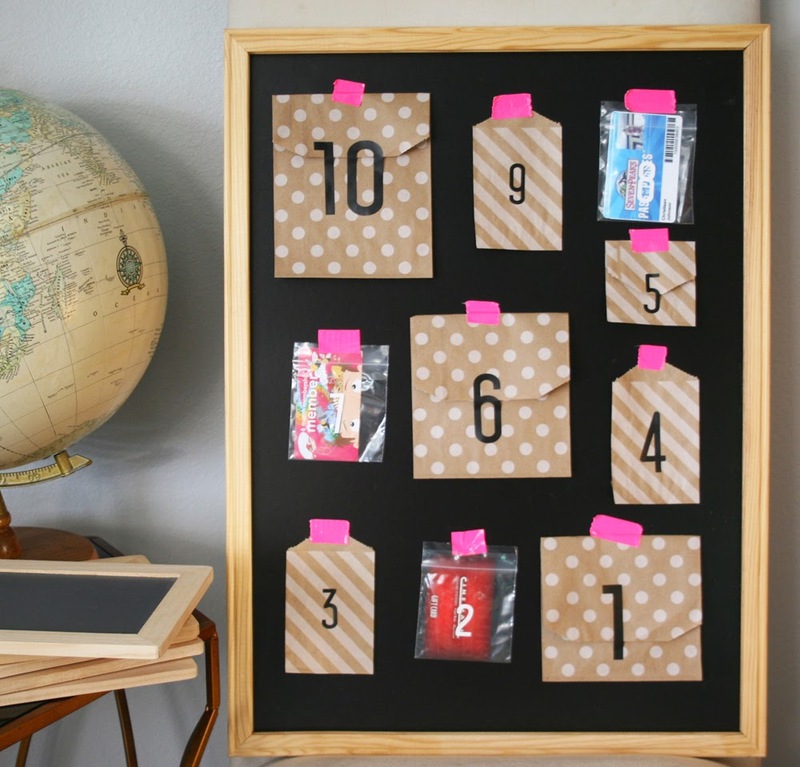 For this calendar, I simply inserted fun activities into the bags and taped them onto a chalkboard with hot pink tape. In the clear baggies, I put gift cards and membership cards to my kids' favorite places. P.S. If you made it this far and read the entire post, I have a secret to tell. 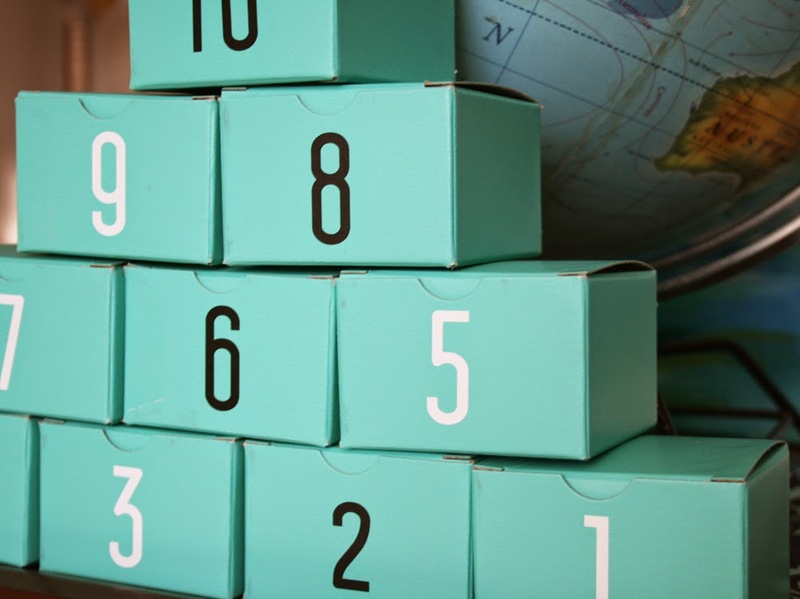 I'm giving the turquoise boxes away to the first reader to comment! Ready. Set. Go! P.P.S. I'll be sharing two more calendars the beginning of next week with another, not so secret, giveaway! Stay tuned! I luv these!!! So cute! Great job! Bethany, congratulations you're the winner! 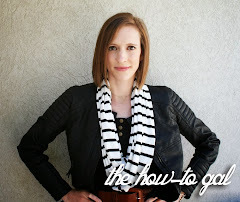 Email me thehowtogal@gmail.com with your address!